I haven’t read a lot of news about the recent Trump-Kim summit in Singapore. I don’t have much to say about the event, except that it looks like an answer to prayer. There are many prayer groups that have been meeting for years–in many different nations, cultures, and church backgrounds. We will never know just how much effort has gone into prayer and missions efforts for North Korea. So much has been done privately and quietly. And in the spiritual realm, much has been accomplished by the persistent cries for justice (Luke 18:7). This is a prophetic declaration, that God started a good work there in centuries past, and He will bring it to completion (Philippians 1:6). 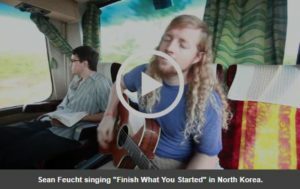 He will finish what He started in North Korea! In the 1930’s, during the Japanese occupation of the Korean peninsula, the Japanese government required everybody–including Christians–to worship at the Shinto shrines. On September 9, 1938, the Presbyterian General Assembly convened. They agreed to support shrine worship as an act of patriotism and of respect for the emperor. After years of subtle persuasion and hostile persecution, September 9 was the tipping point. From that day on, most Christians submitted to the law. Then, after Korea was freed from Japanese rule, the Korean peninsula was divided into a northern and southern zone, along the 38th parallel. 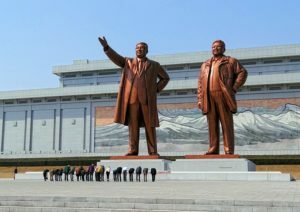 On September 9, 1948, Kim Il Sung founded the Democratic People’s Republic of Korea, with the support of Christian leaders. On September 9, 1958, Kim Il Sung shut down all churches. The Christian population was systematically purged. 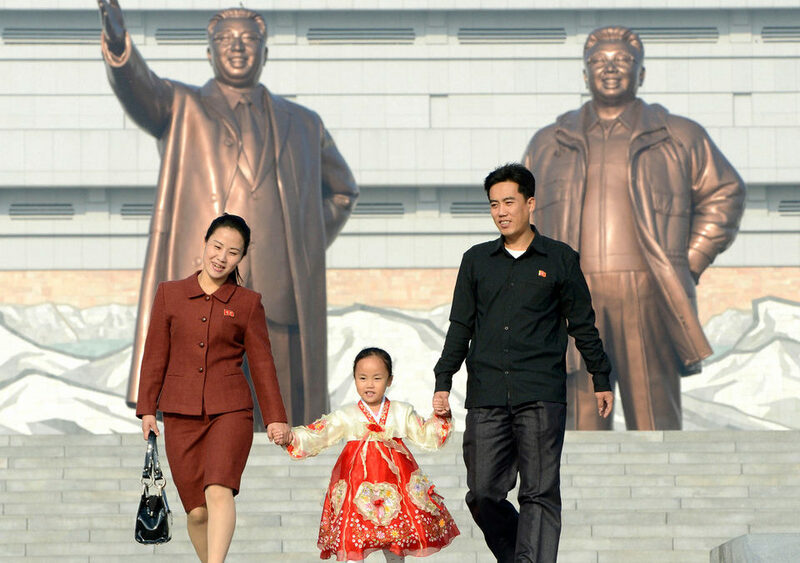 Now, all citizens are required to worship images of the Kim family each day. But many Christians refuse, and are often punished severely. Besides all the other injustices, there are still many thousands of Christians in prison, because they have not bowed to the images of false gods. In 2011, I was at a prayer meeting with some Singaporeans. They were fervently praying that Kim Jong-il would repent, or be replaced. Three days later, he had a heart attack and died, and was replaced by Kim Jong Un. After this experience, I started to pay attention! 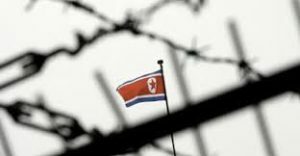 I have been following North Korea news since then–not primarily from American media, but from regional and local sources. I know a lot of stories about foreigners who have worked in and near North Korea. There are many beautiful, powerful, and also heartbreaking stories. But the world has not really begun to hear the stories that North Koreans themselves have to tell. Not yet. Let justice flow like a river in North Korea, and may the testimony of Jesus go out from North Korea to the nations! While the news analysts talk at length about the Trump-Kim summit and other current news, we should continue to pray for the real needs of North Korea, and watch what the Lord does. North Korea is arguably the most religious nation in the world. The culture is trapped inside an incredibly complex cult of devotion to the Kim family, which dominates all aspects of everyday life. But it is also perhaps the most lawless place in the world, with rampant corruption, alcoholism, prostitution, sexual assault, etc, etc. Tragically, abortion is also very common in North Korea. From 1950 to 2015, there was practically no legal restriction on abortion, and abortion was frequently coerced/forced. So, I was surprised to learn that Kim Jong Un changed this in 2015, and made abortion illegal. It’s hard to know what to think about this. Presumably, the new policy will save some innocent lives. But many abortions will continue illegally. And for women who want to give birth, doctors will continue to demand high fees for pre-natal care. Pregnant women who conceived in prison, or who were captured and repatriated from China, are required to abort. 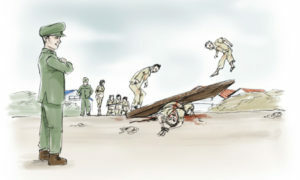 Many North Korean defectors have witnessed this scene. It’s easy to watch the news, and forget that North Korea is a real country, with people who really work and play and laugh, and get married and raise children and send them to school so that they can grow up and have the best possible life. But there is little hope for a better life inside North Korea as things are right now. So, we should continue to pray for the country. I’ve shared a request previously, for financial help with office space. It is a really great opportunity! And the ministry I’m sharing space with is willing to let me pay month by month. I do not have the budget for this, and so I am looking for donors to help me make this office space possible for the coming year. Tax-free (tax-deductible) donations are available for Hong Kong and U.S. residents. P.S. I recently talked with a Chinese pro-life leader, who asks for prayers for himself and his wife. Please, please pray for them personally, and for their life-saving ministry in China. Please also pray for the safety of Christian pastors, and of NGOs run by Chinese Christians. You might occasionally see news about the demolition of major church buildings. But this is not the norm. Many churches are persuaded to register, or else quietly shut down. This is also the situation right now for private orphanages, elderly homes, and other ministries that care for neglected members of society. They are under especially close watch right now. The situation in China is always uncertain, but God can do anything, anywhere. If God has called you to China, now is the perfect time to pray and to prepare!